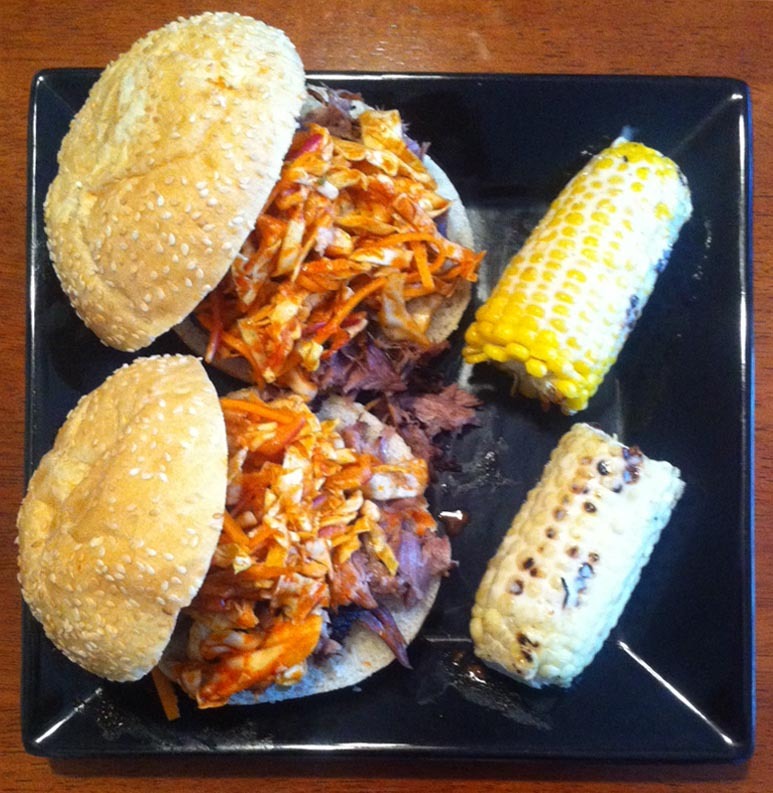 Korean Pulled Pork Sandwiches with Kimchi Slaw, Grilled Sweet Corn on the Cob with Salty Coconut Cream | Jouer avec le feu. To close out the Summer, I decided to attempt to replicate what was possibly the thing I’ve eaten all year: The Korean Pulled Pork Sandwich with Kimchi Slaw from Heirloom Market BBQ in Atlanta. For the pork, I decided to use this recipe by Bobby Flay but cook it in the Big Easy Oiless Turkey Fryer instead of the Caja China. For the Kimchi Slaw, I thought this recipe from Ambitious Deliciousness looked more interesting. I wanted something else to serve with this… I thought about it for a while, and then I remembered Pok Pok‘s Grilled Sweet Corn on the Cob With Salty Coconut Cream – also known as Khao Phot Ping. You can find the recipe in the Pok Pok cookbook. To drink, I went with a bottle of the Kili Wit from Logsdon Organic Farmhouse Ales.